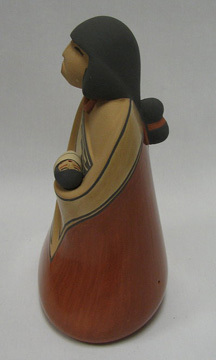 The figure of a maiden holding an infant is one of Maxine's best known creations. 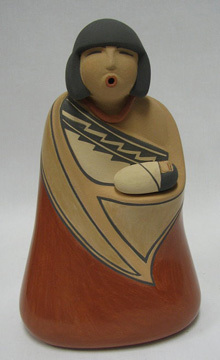 The pottery is polished to perfection and the expression on the mother's face is almost lifelike. 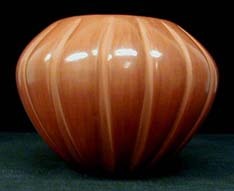 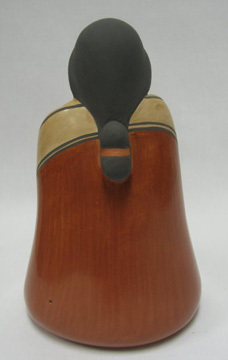 The pot measures 7 3/8 inches tall by 4 1/2 inches wide by 3 1/4 inches deep. 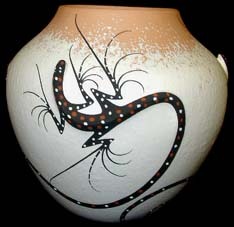 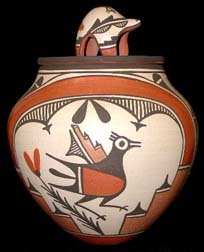 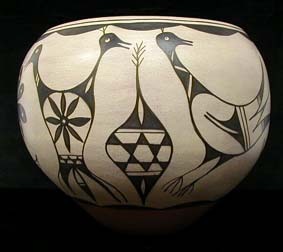 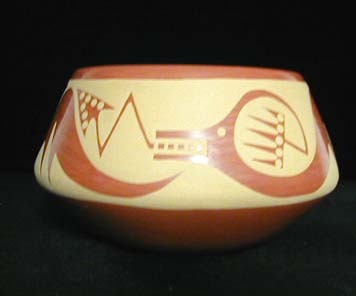 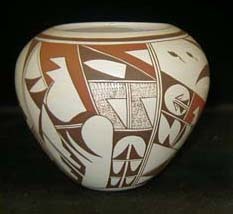 No serious collector of native American pottery, especially storyteller pottery should miss the opportunity to own a piece by this most renown artist.